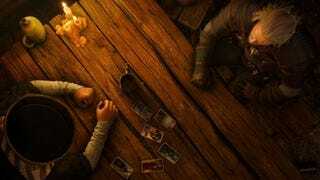 Today’s selection of articles from Kotaku’s reader-run community: Hate Gwent? Today’s selection of articles from Kotaku’s reader-run community: Hate Gwent? You Won’t After Reading This. Maybe • A to Z’s of RPGs • Why Doesn’t This Video Game Exist: Dungeon Halls — Deathtrap Designer • Talk it Out: Where Does Marvel Go From Here?